Nine-hundred cocktails, countless firsts, and no cosmos. Ever. When Wicker Park speakeasy The Violet Hour opened in June 2007, craft cocktails were still largely unknown to Chicago. Ice only came in cubes or chips and Rose’s Lime Juice concentrate was the standard-bearer when a drink called for lime. Then along came this sultry, no-reservations lounge, with a pre-Prohibition cocktail list and bold set of house rules that excluded not just cell phones but Budweiser, Grey Goose, Jäger bombs (or bombs of any kind), and cosmopolitans. An incubator for Chicago’s then-nascent craft cocktail movement, it didn’t take long for The Violet Hour to start converting gin haters, and convincing us all that whiskey is far better sipped in a proper Old Fashioned than slammed in a shot glass. 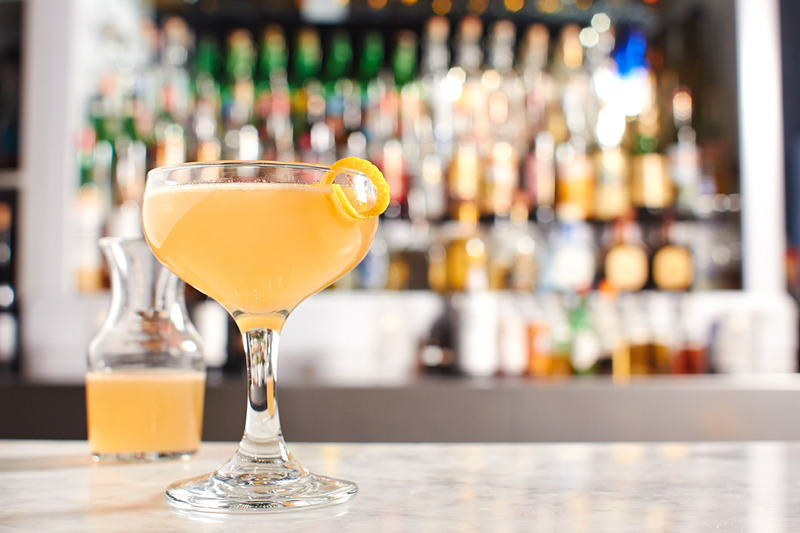 Now 10 years and some 900 original drinks later, this iconic speakeasy is well worth the quick three-mile trip due west from Ambassador Chicago, if you’re thirsty for an immersive, memorable cocktail experience. “Our mission has always been, through technique and ingredients, to take ingredients that are known and loved—and known and loathed—and use them in ways that are fresh, new, and interesting,” says partner and head mixologist Toby Maloney, who’s based in New York. Nightlife impresario Terry Alexander (now a partner at One Off Hospitality) tapped Maloney—a veteran of game-changing New York cocktail bars like Milk & Honey and Pegu Club—to help launch this ambitious cocktail lounge as a refined antidote to the raucous, packed-to-the-brim bars doling out PBRs and shots till the wee hours. They knew fast-gentrifying Wicker Park was ready for a serious bar. Lines started forming almost right away outside the unmarked, muraled entry, and have scarcely let up since. 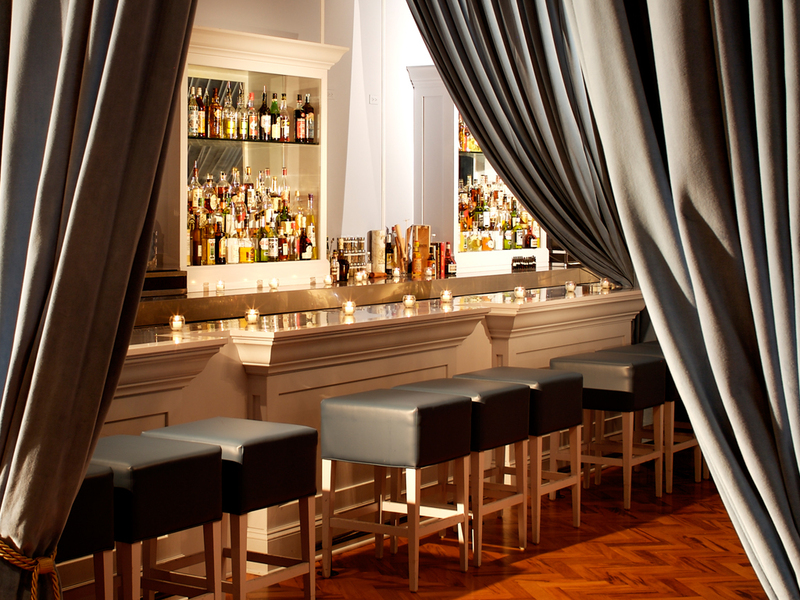 Once inside, floor-to-ceiling curtains open to a low-lit salon awash in blue-grays and anchored by a 44-ft. bar. 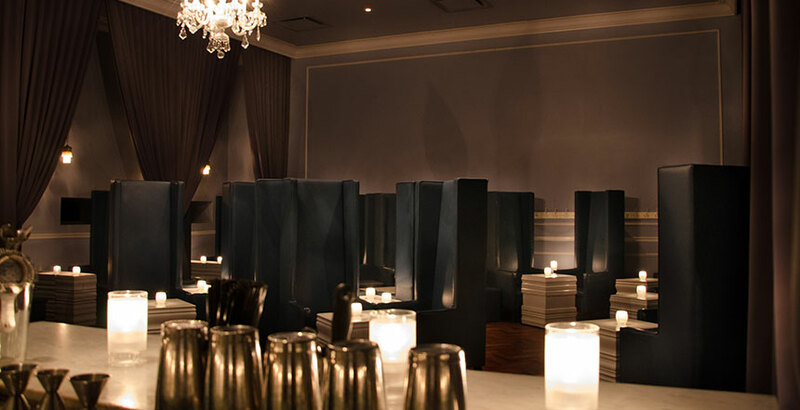 Despite the bar’s massive size, each of the three rooms feels intimate—with high-backed blue leather chairs arranged around tiny white tables lit with candles. Creating a cozy environment was paramount, Maloney says. The second most important element? Convincing unpretentious Midwesterners that an $11 (now $13) artisanal cocktail that took several minutes to make and included a list of ingredients they’d never heard of was worth their while. There was no Bud Light or Ketel One to fall back on—nary an olive in the joint. Instead, Maloney created a 30-cocktail list categorized by spirit, relegating vodka to the very bottom. Servers would warmly ask patrons’ liquor preference, and then the newly minted “mixologists” would concoct drinks that sought to challenge preconceived notions while still being accessible. Cucumber is muddled with mint and salt then shaken with rose water, bitters, gin, simple syrup, and lime for a bright, pleasing sipper with enough complexity to enthrall a cocktail nerd. It’s even worked its way into the bartending lexicon over the years, as bars around the world have worked it into their repertoires. 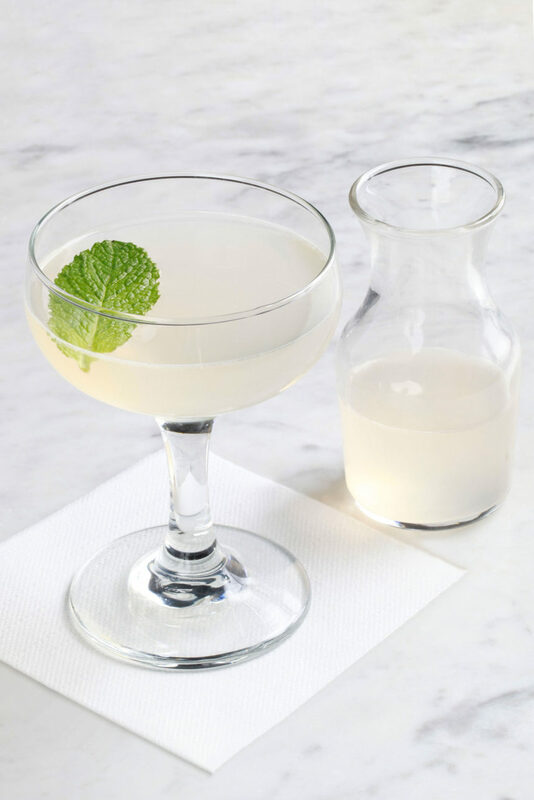 As cocktail culture has taken hold in Chicago, the team has seen a similar Domino effect with elderflower liqueur, house-made bitters, and hand-chipped ice. It’s undoubtedly harder to routinely blow people’s minds given the glut of serious cocktail bars that have opened here in recent years, focusing on everything from whiskey to tiki to vintage booze, and house-making everything down to the bitters. Violet Hour alums have even gone on to helm beverage programs of their own at lauded spots like Blackbird, the Lone Wolf and Kimpton Hotels, and Cure in New Orleans. And yet, there are first-time visitors to The Violet Hour every day, though it’s rare that they’ve never been to a cocktail bar, “which is both wonderful and a little sad,” Maloney sighs. Servers will still try to nudge you ever so slightly out of your comfort zone, perhaps with The Humble Brag, a Rum Collins with Bianco Vermouth and St. Germain that starts round and luscious and ends dry and bright. Or The Gunpowder Black Within, a Manhattan riff with deep grapefruit bitterness and notes of chocolate cherries and vanilla.